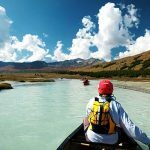 Yes, I'd like to receive the OARS Watermark E-newsletter. 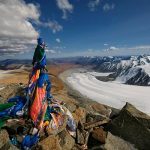 Carrie and Jeffe Aronson and special partner Tim Cope—an award winning adventurer, author, and filmmaker who was given the Mongolian Tourism Excellency Award, and was made the international ambassador for Mongolian tourism in recognition of his work to celebrate and promote Mongolian nomadic culture. 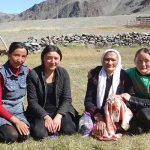 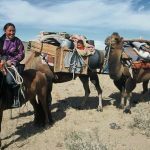 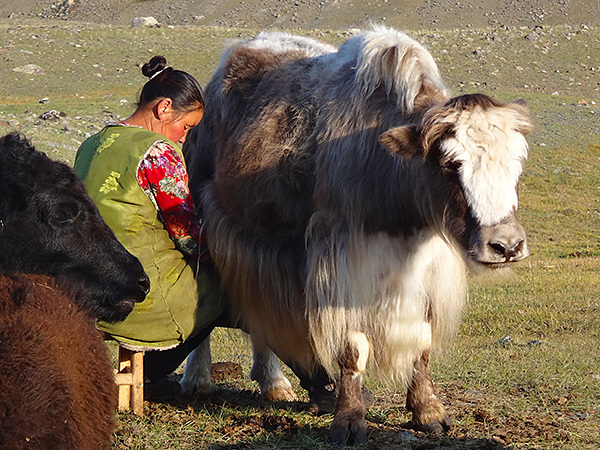 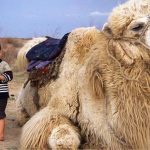 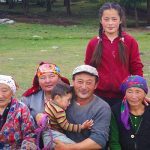 Travel from summit to steppe on this epic 24-day expedition with Carrie, Jeffe and Tim along snow-covered peaks, on nomad trails, supported by herdsmen with their camels and horses. 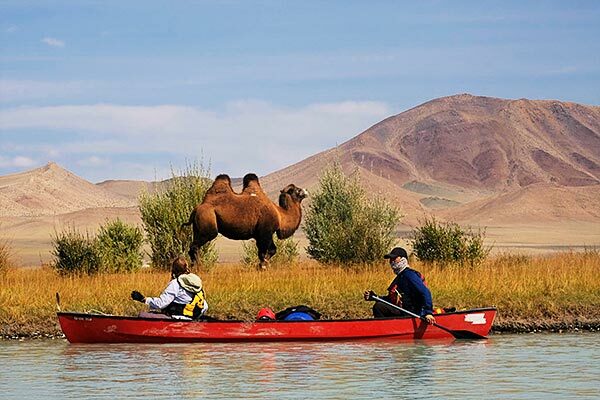 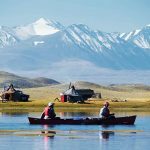 The trek is followed by a canoe voyage down the lake systems and swift water of the Khovd River. 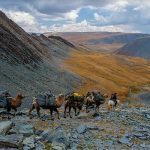 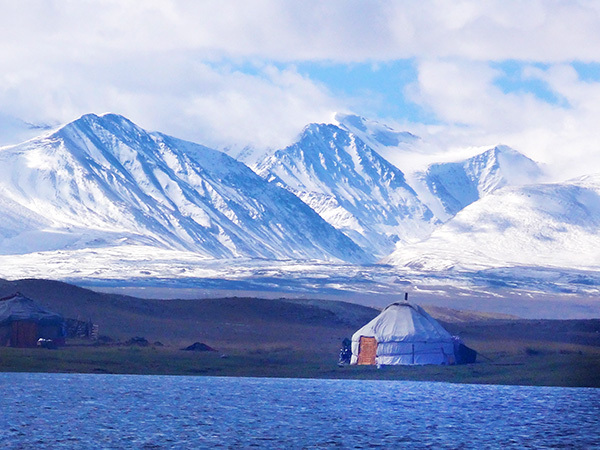 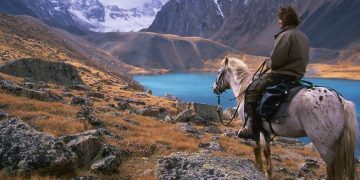 This unique itinerary offers unparalleled experience of both the diverse landscapes of Western Mongolia and the heritage of its nomadic people. 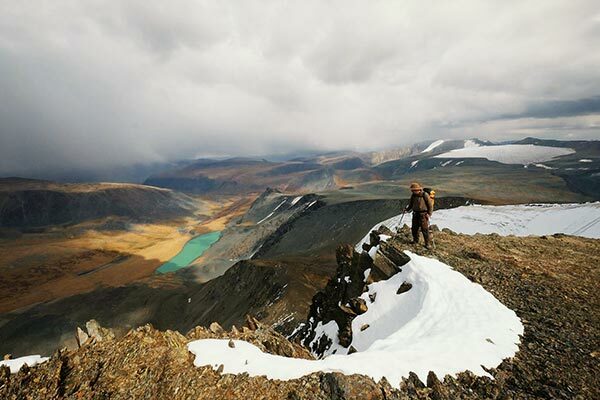 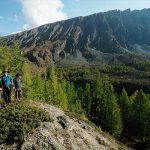 We’ll visit the UNESCO World Heritage Site of Baga Oigor valley to view petroglyphs dating back as far as 12,000 years, trek with Tuvan nomad guides and their animals, summit 13,287 ft Malchin Peak with views of the Russian border over Mongolia’s most dramatic landscape. 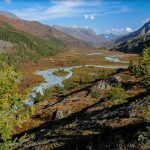 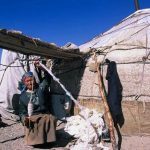 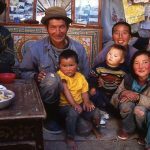 At this time of year as summer crosses into autumn, the Tuvan nomads migrate down from the mountains to the banks of the Khovd River giving us the opportunity to experience their unique way of life and understand the intricate nature of their migratory lifestyle.